If you didn't know - I'm a pretty big potterhead! I was sorted into the house of Hufflepuff and my wand is a 10 3/4 inch hard cypress with an unicorn core. Judge me. 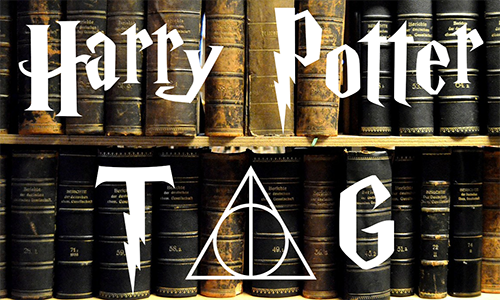 I ran across this tag and coming off another Harry Potter weekend I'm down to answer some Harry Potter Questions. Harry Potter and the Philosopher's Stone for sure! It sets us up to go on this absolutely magical adventure that I would enjoy for so many years. Oooh, Goblet of Fire! I felt by that movie they definitely had the heartstrings of everyone (even those who didn't even read the books). Order of the Phoenix! I hate Umbridge, the entire book I was seething at her. 4. Parts of the books/movies that made you cry? Hedwig dying! So many tears. 5. If you could hook up with any HP character who would it be? I had to be Hermione - I saw a lot of myself in her. 7. What would your Patronus be? I would love to say something graceful like a swan or a doe, but knowing me I'd probably get something like a bunny. 8. If you could have the Resurrection Stone, Invisibility Cloak, or the Elder Wand which one would you choose? Aw man, probably the Invisibility Cloak. 9. What House would you be in? 10. If you could meet any member of the cast who would it be? Emma Watson for sure. She played my favorite character in the movies but she also has been so influential outside of her movie roles. 11. Have you played any of the video games? I have tragically attempted to play the first video game - it was terrible. I never finished it. 12. If you were on the Quidditch team which position would you play? Honestly, I probably wouldn't play Quidditch. 13. Were you happy with the ending? It may not have ended how I wanted it too - but yes, I was happy with how it ended. Although I will forever ship Harry x Hermoine.